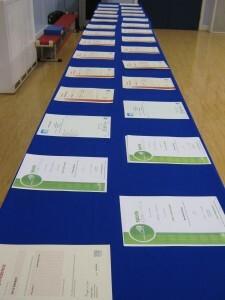 Accreditation continues to go from strength to strength at The Clare School. During the last two years we have introduced a broader range of accredited courses that are suitable for many more of our students, and really add impact to their prospects on leaving school, leaving them more prepared for their adult lives. We are now able to offer qualifications in all curriculum areas and at a range of levels. Not only do we have a core of qualifications that we deliver, but we also try to offer courses as a result of bespoke student interests and skills. For example, this year we have delivered WJEC Entry Level ICT to one of our Gifted and Talented students who has a passion for technology. All the accreditation on offer is reviewed annually. For details of all courses available this academic year, please see the Provision Map.